These are affordable, low-cost, reduced cost or free spay/neuter in Georgia for your feline or canine friend (some fix rabbits, too!). Contact them directly to check eligibility or to make an appointment. Low cost, affordable spay-neuter services. Non-profit pet clinic. Offers low cost spay-neuter, discounts for low income pet owners and special pricing for **feral cats. Low cost spay-neuter, with special pricing for **feral cats and animal rescues. Atlanta Humane Society - Howell Rd. Low cost spay-neuter services, as well as vaccines, microchips and nail trims available at time of surgery. Atlanta Humane Society - Mansell Rd. Reduced cost and low cost (for low income pet owners) spay-neuter certificates. Offers a limited reduced spay and neuter program for pet owners in need. Please call for more details. Trap/Neuter/Return resource for **ferals, semi-ferals and strays in southwest Georgia. Reduced cost spay-neuter with no income or location requirements. Low cost spay-neuter for Cherokee County residents. Provides monthly spay-neuter shuttle service to the HELP Clinic, also assists with co-pay for those with limited income. Provides low cost spay-neuter certificates. Spay-neuter assistance for low-income residents when funding is available. Low cost spay-neuter clinic. Assistance to low income pet owners and owners of pitbulls and pitbull mixes. **Feral spay-neuter. Low cost spay-neuter clinic. Serves surrounding GA counties. Low cost spay-neuter clinic. Reduced price/free SNIP program for low income pet owners. Spay-neuter assistance fund for low income pet owners (on a limited basis). Discount spay-neuter vouchers and free spay-neuter for pet owners in financial need. Low cost spay-neuter clinic. Additional assistance available for low income pet owners. Low cost spay-neuter clinic. Low income Madison and Oglethorpe residents may qualify for free spay-neuter. Spay-neuter assistance for low income pet owners. Offers discounted spay-neuter for low income pet owners. Spay-neuter assistance for low income owners of pit bulls/pit bull mixes. Low cost spay-neuter clinic. **Discounts for ferals. 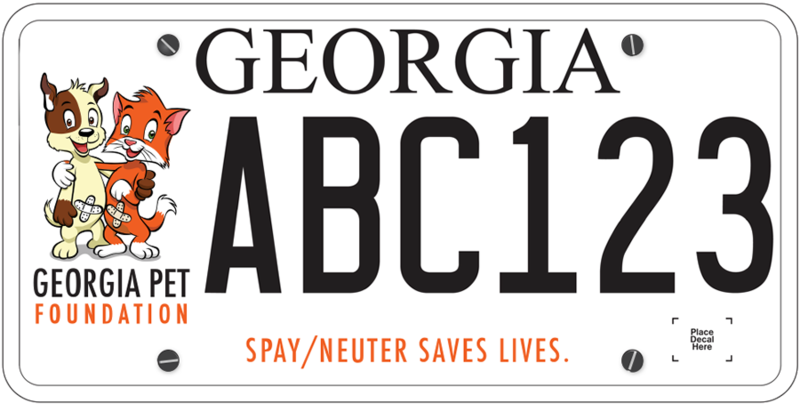 Low cost spay-neuter at various locations in Georgia. Check website for locations. Spay-neuter assistance if funds are available. Statewide program that offers low cost spay-neuter certificates. Provides low to no cost spay-neuters for pets of financially disadvantaged residents of the metro Atlanta area. Helps subsidize the veterinary fees for castration of stallions. Low cost spay-neuter clinic, free if you qualify. Transport also available. Offers spay-neuter assistance to low income Walton County residents. Spays female dogs and their puppies via Puppy Prevention Program. Low cost spay-neuter mobile clinic for Douglas, Carroll counties, Newnan & Peachtree City. Llow cost, high-quality spay and neuters. Additional financial assistance available for low income pet owners.